The advantage of clomiphene citrate over metformin for induction of ovulation has been well published. However, successful achievement of pregnancy that results in miscarriage is perhaps more devastating to a patient than anovulation. The role of metformin is not restricted to its effects on infertility and ovulation alone and the potential for treatment of PCOS-related miscarriage should be acknowledged. As medical students, we are taught to cherish randomised controlled trials and meta-analyses for their ability to eliminate potential retrospective and investigator bias. Meta-analyses [3,4] have examined the effect of metformin on miscarriage rates in PCOS patients, one as a primary outcome. Both failed to demonstrate a statistically significant benefit of metformin administration on miscarriage rates. The statistical heterogeneity among the trials and authors’ recommendations, that further well-designed randomised trials were required, were of concern. The seventeen trials included in the Palomba meta-analysis  were scrutinised. None of the trials examined miscarriage rates as a primary outcome. Nor were they sufficiently powered to detect differences in miscarriage incidence. Metformin administration in all trials was either ceased at human chorionic gonadotropin injection or diagnosis of pregnancy. Thus meta-analyses published to date can only indicate that there is unlikely to be a reduction of miscarriage rates in PCOS patients, when metformin is administered prior to conception and ceased in early pregnancy. This is essentially consistent with preliminary evidence which suggests, continued use for the full first trimester or throughout pregnancy  may reduce miscarriage risk compared with earlier cessation. To our knowledge, only non-randomised studies have evaluated the effect of metformin use during pregnancy on outcomes in PCOS patients. Although these results are promising, these studies were non-randomised, often retrospective and used historical miscarriage rates, contributing to potential bias. Further large, well designed randomised controlled trials examining miscarriage rate as a primary outcome in women who continue to take metformin in the first trimester are indicated. Since this updated protocol, a case study of a PCOS patient with recurrent miscarriage demonstrated live birth after physiologic pregnancy with metformin administration before and throughout pregnancy. This indicates a possible role for metformin in the setting of PCOS patients with recurrent miscarriage and supports a need for further investigation. In conclusion, metformin could still be an effective treatment of PCOS in the setting of miscarriage and recurrent miscarriage. Further large, well designed randomised controlled trials examining miscarriage rates in PCOS patients as a primary outcome are indicated. Metformin should be administered throughout the first trimester in these trials, consistent with promising preliminary evidence. Patients receiving metformin during pregnancy should be counselled of the risks, but can largely be reassured from the current safety evidence. Wong S. Management of infertility in the setting of polycystic ovary syndrome. 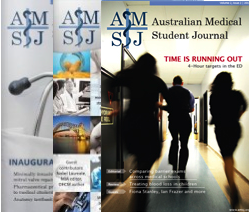 Australian Medical Student Journal. 2011;2(2):45-8. Sagle M, Bishop K, Ridley N, Alexander FM, Michel M, Bonney RC, et al. Recurrent early miscarriage and polycystic ovaries. BMJ. 1988;297(6655):1027-8. Palomba S, Falbo A, Orio F Jr, Zullo F. Effect of preconceptional metformin on abortion risk in polycystic ovary syndrome: a systematic review and meta-analysis of randomized controlled trials. Fertil Steril. 2009;92(5):1646-58. Tso LO, Costello MF, Albuquerque LE, Andriolo RB, Freitas V. Metformin treatment before and during IVF or ICSI in women with polycystic ovary syndrome. Cochrane Database Syst Rev. 2009;(2):CD006105. Kattab S, Mohsen IA, Foutouh IA, Ramadan A, Moaz M, Al-Inany H. Metformin reduces abortion in pregnant women with polycystic ovary syndrome. Gynecol Endocrinol. 2006;22(12):680-4. Glueck CJ, Phillips H, Cameron D, Sieve-Smith L, Wang P. Continuing metformin throughout pregnancy in women with polycystic ovary syndrome appears to safely reduce first-trimester spontaneous abortion: a pilot study. Fertil Steril. 2001;75(1):46-52. Glueck CJ, Wang P, Goldenberg N, Sieve-Smith L. Pregnancy outcomes among women with polycystic ovary syndrome treated with metformin. Hum Reprod. 2002;17(11):2858-64. Jauniaux E, Farquharson RG, Christiansen OB, Exalto N. Evidence-based guidelines for the investigation and medical treatment of recurrent miscarriage. Hum Reprod. 2006;21(9):2216-22. Palomba S, Falbo A, Orio F Jr, Russo T, Tolino A, Zullo F. Metformin hydrochloride and recurrent miscarriage in a woman with polycystic ovary syndrome. Fertil Steril. 2006;85(5):1511.e3-5. Simmons D, Walters BNJ, Rowan JA, McIntyre HD. Metformin therapy and diabetes in pregnancy. Med J Aust. 2004;180(9):462-4. Gilbert C, Valois M, Koren G. Pregnancy outcome after first-trimester exposure to metformin: a meta-analysis. Fertil Steril. 2006;86(3):658-63.